I have always been a huge fan of Ouidad&apos;s products. I used to get my hair cut at the salon, and use their products exclusively. I loved everything about them, from the smell to the results. However, as time wore on and I began wearing my hair straighter and straighter, I veered away from Ouidad over the years, but I have always associated the company with great hair products and so was really excited to try the newest product, the Ouidad Curl Defining Styling Souffle. As background, I have wildly curly hair. Seriously. Girls who complain about their hair being way too curly and frizzy but have managed to learn how to blow dry/style it themselves are joking. I can&apos;t blow dry my hair on my own. It&apos;s an exercise in futility and leaves me red faced and frizzy. When I do get professional blow outs, the first comment I typically get is "Wow. You definitely can&apos;t do this yourself." Yes. Thank you. I know. That&apos;s why I&apos;m here. I have also had my hair keratin treated and the curls have never really been the same since. 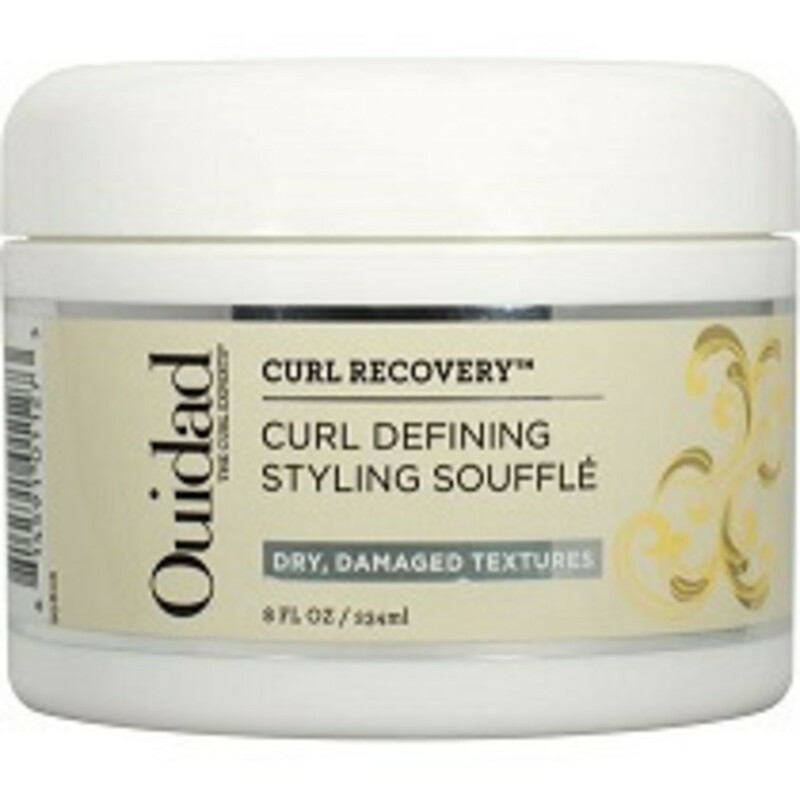 Enter Ouidad Curl Defining Styling Souffle. Can a product actually define curls that I have attempted to chemically beat into submission? Actually, yes it can. While I was expecting the texture and smell to be similar to the products of old, this was slightly different. Still, I remembered the Ouidad technique -- basically a small amount in small sections of my hair) and I was happily surprised to see that my hair was not frizzing; and, while my curls weren&apos;t what they were circa 2006 before I ever took advantage of professional blow outs, the results were dramatically visible. The ends of my hair could use a good chop (which they are getting this weekend, thank you very much), but all the layers were surprisingly healthy looking and spiral-y. My hair smelled good (sadly not the same Ouidad smell I remembered to satisfy my nostalgia, but still very pleasant) and looked good too. And for $26 for an 8 ounce container, the product is an affordable fix for frizzy and dry hair.